You know that you can trust what you find on this site. OnTheGas.org has never offered paid advertisements or sponsored text links and we have no intention of changing this policy in the future. The site is, and always will be, supported by the readers. However, from time to time there are affiliate links on the site. If you click on an affiliate link and then buy a product from that company, then the company will send a little cash our way for the referral. 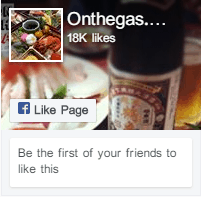 Onthegas.org is a participant in the Amazon Services LLC Associates Program, an affiliate advertising program designed to provide a means for website owners to earn advertising fees by advertising and linking to amazon(.com, .co.uk, .ca etc) and any other website that may be affiliated with Amazon Service LLC Associates Program. As an Amazon Associate I earn from qualifying purchases. Thanks for visiting the site – we honestly hope we have helped in some way!